A POSSE of top English scouts are heading for Hampden this afternoon, intent on lining up some post-Christmas shopping for their clubs. The Betfred Cup Final between Celtic and Aberdeen pits two of Scotland’s big guns together at the National Stadium. And with the action south of the border confined to the derbies in London and Liverpool, clubs are clear to send their top men up north to take in the Scottish showpiece. It is an opportunity that has been grasped, with a host of English Premier League and Championship outfits planning to have representatives at the tie. Celtic are strong favourites to land their first trophy of the season. 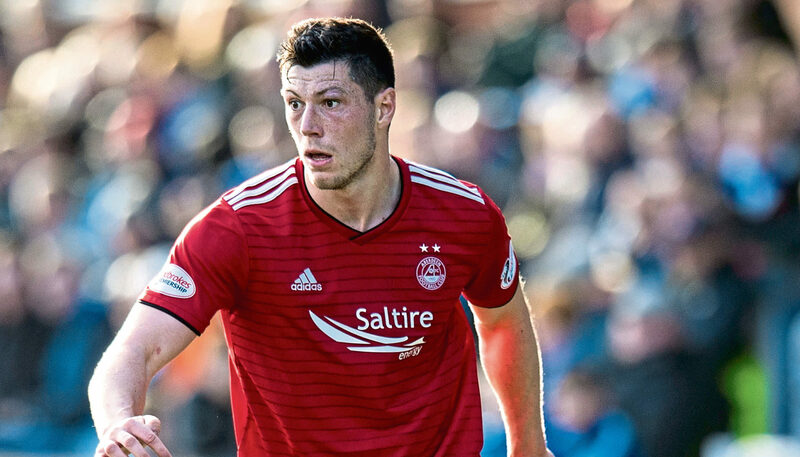 But scouts will be targeting players on both sides, with Aberdeen’s precocious central defender Scott McKenna of particular interest. The 22-year-old, who was made Scotland captain in Mexico six months ago on what was only his fourth appearance for the country, has already attracted plenty of attention. Aberdeen rejected bids from both Aston Villa and Celtic, of £6.5 million and £3.5m respectively, in the summer window. Then, it was stressed to both that the club were in no rush to sell and that the towering defender was likewise happy to stay put in the Granite City. Since then, Celtic have cooled their interest, with the Dons’ £7m valuation of McKenna being more than they are prepared to pay. That, though, hasn’t put off all his admirers with Villa – who recently changed manager and conceded five goals when drawing against Nottingham Forest on Wednesday – continuing to track him.Likewise interested are Cardiff City, who are looking to strengthen their back line for the rest of their Premier League campaign. At the other end of the park, the performance of Celtic central defender Dedryck Boyata will be closely monitored by Fulham, who had a £9m offer rejected for the Belgian, again back in the summer. Infuriated by their refusal to let him move down to the English Premier League, Boyata then effectively downed tools and played no part in his club’s exit from the Champions League to AEK in Athens. Since then, things have very much settled down. But Boyata’s future remains uncertain, with a strong possibility remaining he will be sold, either in the January window or at the end of the season, and replaced. Fulham, who recently installed Claudio Ranieri as boss in an effort to stave off relegation, are still keen. The Belgian defender is also being observed by the likes of Southampton and Bournemouth. Celtic’s recent move to sign James Forrest, star of Scotland’s Nations League wins over Albania and Israel, on a long-term contract offers them a degree of protection for the winger. If he is to move, it will be for a huge sum of money. Aberdeen, though, will be more worried about predatory interest in their star winger, Gary Mackay-Steven. The 28-year-old is out of contract in the summer, and while the Dons are attempting to tie him up a new improved deal, the lure of a big payday down south could potentially scupper their hopes.